1Department of Microbiology, Federal University of Technology, P. M. B. 1526, Owerri, Imo State, Nigeria. 2Department of Microbiology, Federal University Ndufu-Alike Ikwo, P. M. B. 1010, Abakaliki, Ebonyi State, Nigeria. *To whom correspondence should be addressed. E-mail: wesleybraide2005@yahoo.com. Received 20 January, 2018; Received in revised form 10 February, 2018; Accepted 13 February, 2018. Anti-nutritional analysis, Bactericidal properties, Sycamore plant. Anti-nutritional analysis and bactericidal properties of various parts of Ficus sycomorus were determined using standard methods. The extracts of F. sycomorus were subjected to bacterial susceptibility tests while the fruit was fed to Wistar rats to determine toxicological effects. 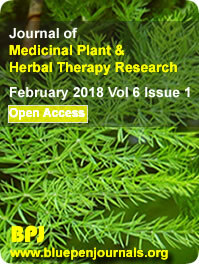 The results obtained revealed the presence of tannin, hydrogen cyanide, flavonoid, saponine, alkaloid, oxalate and vitamin C in various proportions in the plant parts examined. The fruit extract showed bactericidal effect on some multi drug resistant bacteria such as Escherichia coli, Klebsiella pneumoniae, Staphylococcus aureus, Pseudomonas aeruginosa and Proteus vulgaris. Toxicological analysis of the fruit therapy on Wistar rats showed positive results as enzymatic examination of the liver, kidney and blood of the Wistar rats did not indicate any serious damage. Histological study carried out on the Wistar rats showed that the liver, kidney and blood did not suffer any damage in both 400 and 800 mg/kg test groups. Antimicrobial qualities of F. sycomorus conferred on it an alternative source of treatment for pathogenic infection. Therefore, it is recommended that the plant parts of F. sycamorus be consumed as food; for their numerous health benefits and their great potentials as antimicrobial agents.